Who wants fresh produce from the garden? That's an easy yes, but growing fruits and vegetables in the yard can be hard. Sometimes the soil isn’t quite right, and it seems like there are weeds all the time. Oh, the weeds! If you’re not out there every day breaking your back with all that bending and pulling, then the whole yard can look messy. And don’t forget those dang rabbits wreaking havoc on your plants. It’s easy to think that keeping a garden isn’t worth the time and effort. But there is a simpler way. 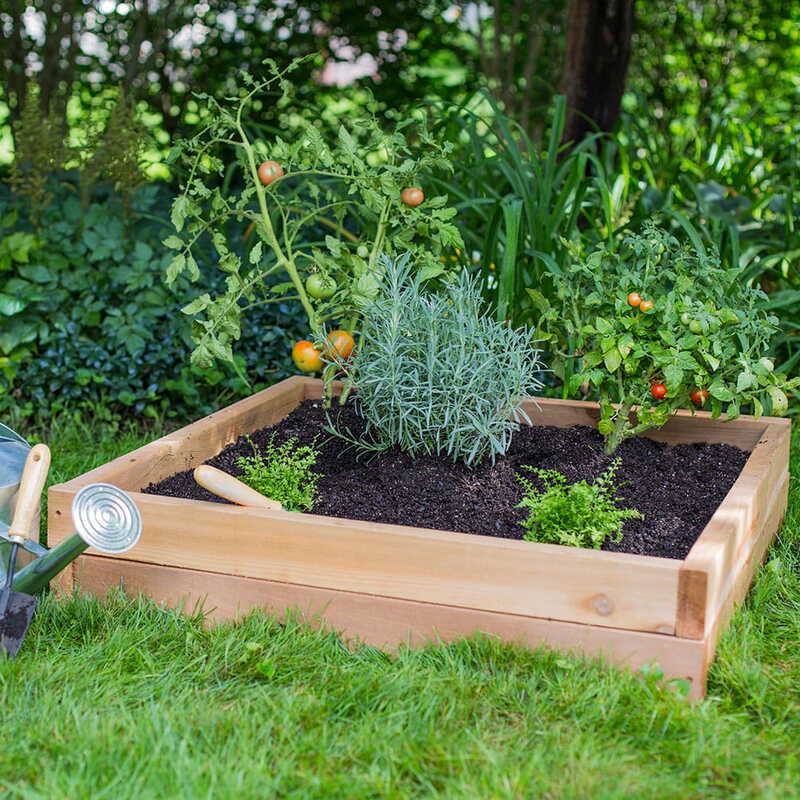 Raised garden beds are becoming more and more popular, especially for novice gardeners who don’t have 40 hours a week to tend their plants. Why are they so popular? Let’s count the reasons. Because raised beds are raised off the ground, you can install a barrier at the bottom of the bed to keep deep-rooted weeds from taking hold. Weeds that do appear tend to have shallow roots and are easy to remove. You don’t have to rely on the existing dirt in your yard. You can tailor the soil to what you want to grow. If you want to grow beans in a raised garden planter, you can fill it with soil that’s ideal for growing beans. 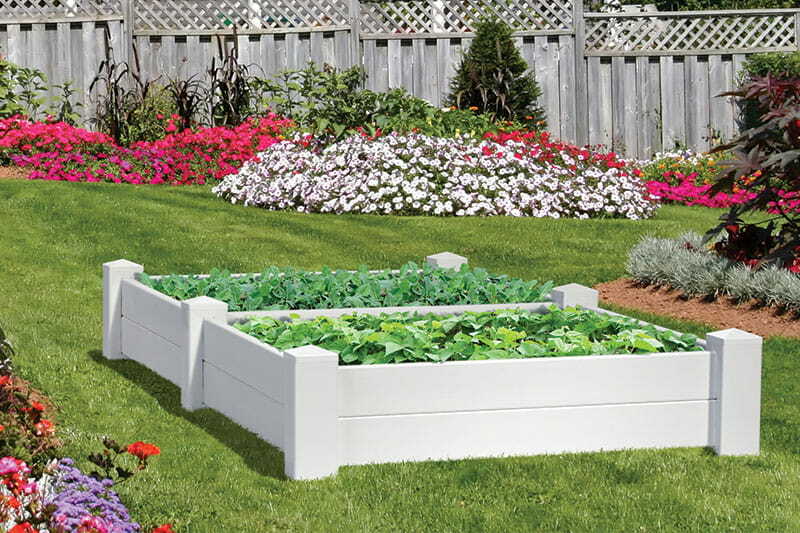 With a raised bed you can water and tend your plants without stepping all over the soil. That means less soil compaction, which can be a problem with ground-level gardens. Plus, the soil in raised beds drains better. 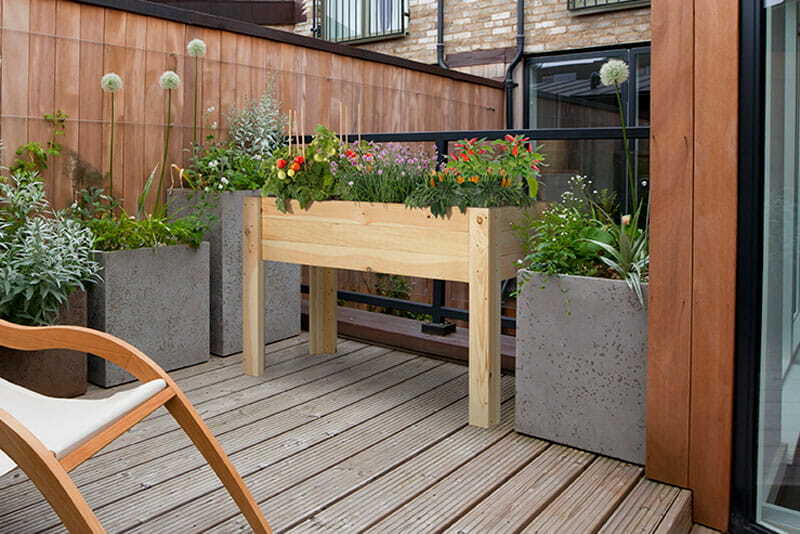 A raised bed means you don’t have to stoop as low to care for your plants. Your back and knees will feel the difference! Some critters who are a nuisance to gardeners can’t get to a raised bed because it’s up off the ground. Fewer invaders means less risk to the health of your plants. In colder climates, it can take awhile for the ground in your yard to warm up. Shoot, in some places there’s still a risk of freeze until Memorial Day! But the soil in a raised bed warms up earlier, so you can start your garden sooner. A tidy wall of cedar or pine boards keeps your raised wooden bed looking orderly because plants don’t spread beyond the borders of the bed. 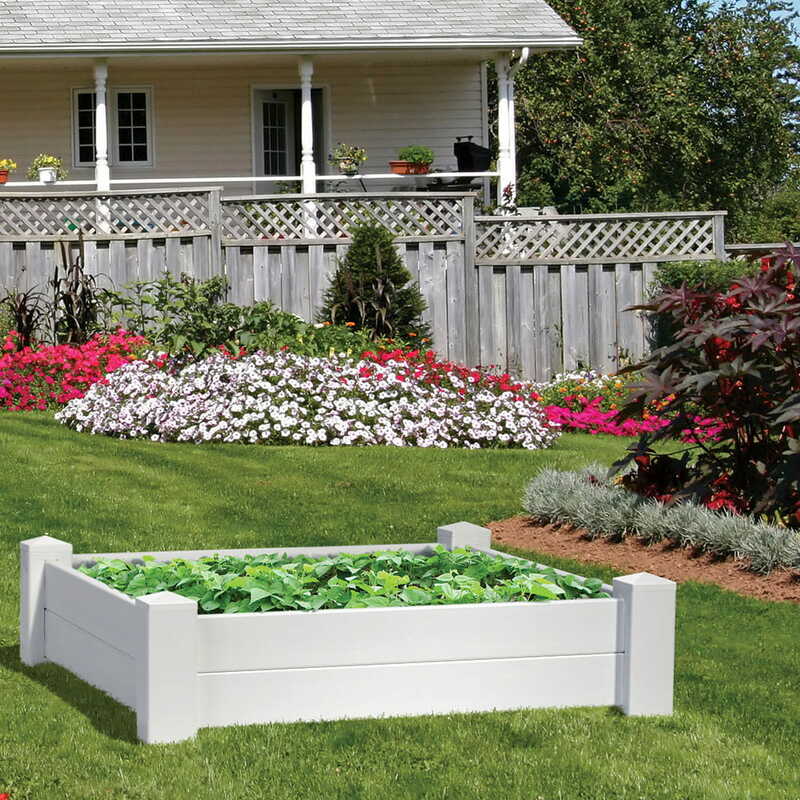 A white vinyl plant bed is another option that gives your garden a clean look. 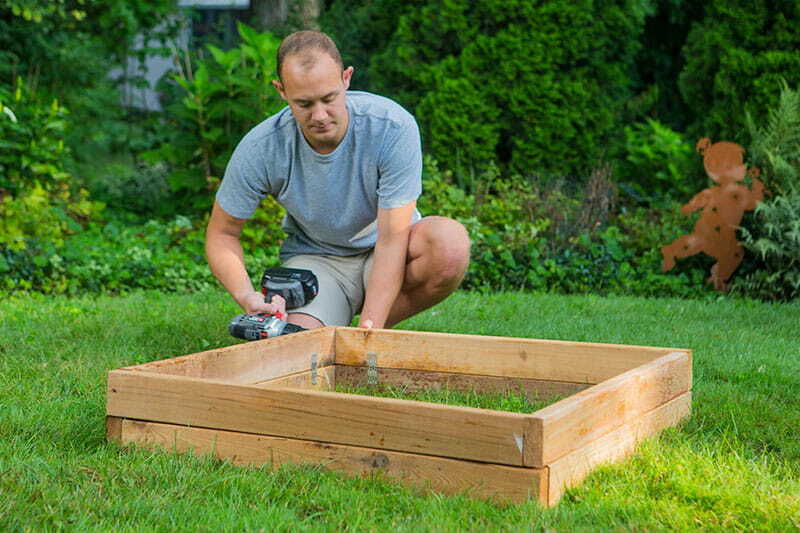 A raised garden bed kit is easy to assemble in 10 minutes with just a power drill. And it can produce a steady diet of fresh, healthy fruits and vegetables all summer long. 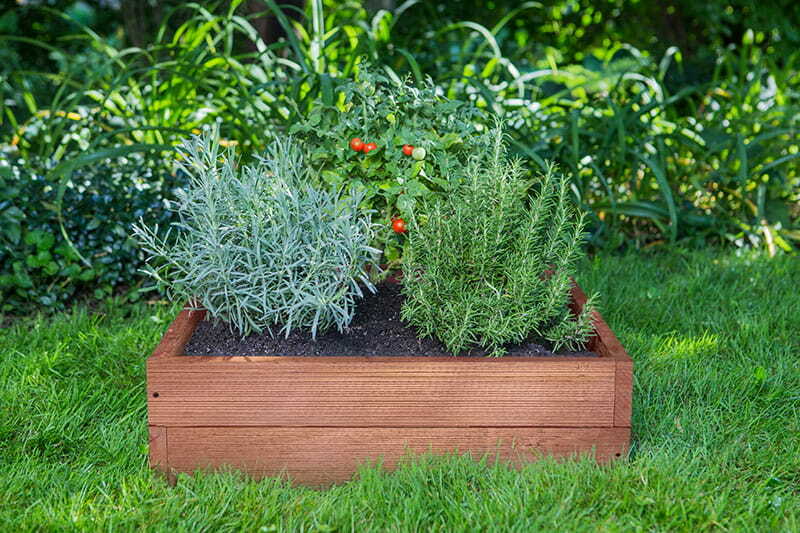 Ready to buy a raised garden bed? Check out our selection of vinyl, cedar and rustic options!